“How strange to think we must communicate this good news conditionally by telling sinners that Jesus Christ will save them ‘if they believe.’ When will Jesus save these individuals? Either those to whom we witness have been reconciled to God (2 Cor. 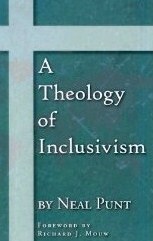 5:21) or not” (Neal Punt, “A Theology of Inclusivism.” Allendale, MI: Northland Books, 2008, page 186). In this post, my goal is to examine Punt’s claim that we should not tell people that God will save them on the condition that they believe. Why should we not tell them this? What biblical warrant is there for this? Punt then cites his belief that reconciliation has been achieved in Christ, but this is based on his Calvinist presupposition (as I revealed in the last post), not the Scriptures. In this post, I will demonstrate that faith is the condition for salvation from the Scriptures themselves. First, the importance of faith can be seen in a text such as Matthew 8, where the centurion pleads with Christ to heal his sick servant: “only speak a word, and my servant will be healed” (Matthew 8:8, NKJV). Jesus’ response took note of the centurion’s faith: “Assuredly, I say to you, I have not found such great faith, not even in Israel!” (v.10) The centurion’s faith is what Jesus marveled over: that a Gentile could have more faith than even His own people. In Mark’s Gospel, we find Jesus Himself proclaiming repentance and belief: “The time is fulfilled, and the kingdom of God is at hand. Repent, and believe in the gospel” (Mark 1:15). According to Jesus, belief is essential to salvation. Otherwise, what need would one have to “repent and believe in the gospel”? In Mark 16:16, Jesus speaks more on faith, when He said, “He who believes and is baptized will be saved; but he who does not believe will be condemned.” Jesus, then, is not just concerned with those who reject Him...rather, He is concerned with both those who reject Him and those who accept Him. It seems useless, then, for Christ to tell people to believe in Him when He has actualized their salvation and they are already “in Christ” (2 Cor. 5:17). The only way a person has an actualized salvation is if they are “in Christ.” Not every person is “in Christ,” which is the reason why Paul labels it a condition using the word “if” (Gr. Ei as in eight). John 3:16 is a classic verse well-known to every believer. The verse says that “whoever believes in Him shall not perish but have everlasting life.” The one who believes is the one who will experience everlasting life. John 3:18 shows us that the entire world Jesus dies for does not believe--- for some will believe, but some will not. This is why Jesus offers two choices: salvation or condemnation. Evidently, Jesus died for the world, but the world will not experience eternal life unless it believes. The verse does not say, “Every one shall not perish but have everlasting life”; rather, the verse says, “the one who believes” (Grk. ho pisteuon), or rather, “the believing one” has eternal life. The unbelieving one then, only receives condemnation because he or she has not believed on the name of Christ (Jn. 3:18). Romans 10:9-11 is another great passage that believers quote when the gospel is preached: “that if you confess with your mouth the Lord Jesus and believe in your heart that God has raised Him from the dead, you will be saved” (v.9). Notice that there are two conditions, “if you confess with your mouth the Lord Jesus” and “if you believe in your heart that God has raised Him from the dead.” These two conditions (confession and belief) are what lead to salvation. Paul clarifies this in verse 10: “For with the heart one believes unto righteousness, and with the mouth confession is made known unto salvation” (Rom. 10:10, NKJV). The verb “will be saved” is a future verb, demonstrating that to be saved is “future” to the person who has yet to confess their sins and believe on the name of Christ. Ephesians 1:13 is a great passage to show the importance of believing on the name of Christ. The verse says, “In Him you also trusted, after you heard the word of truth, the gospel of your salvation; in whom also, having believed, you were sealed with the Holy Spirit of promise...” In Ephesians 1, we see that although believers were chosen in Christ before the foundation of the world, until they believed in time, they were not sealed with the Spirit. How then, can one claim that reconciliation (salvation) is actualized for every person when not everyone possesses the Spirit (which is the confirmatory sign of salvation)? If salvation were actualized for everyone, then everyone would possess the Spirit (which is not the case). Therefore, if Punt’s view is right, he has to contradict this verse and say, “Everyone, when Christ died and rose, received an actualized salvation and already possesses the Spirit.” Such is not the case. Excellent thoughts. Surely Romans 5:1 clearly tells us that we are justified by faith and not UNTO faith as in the Calvinistic mindset. Belief in the gospel is essential for personal salvation (Romans 1:16-17; 3:22-25; 10:9-10).